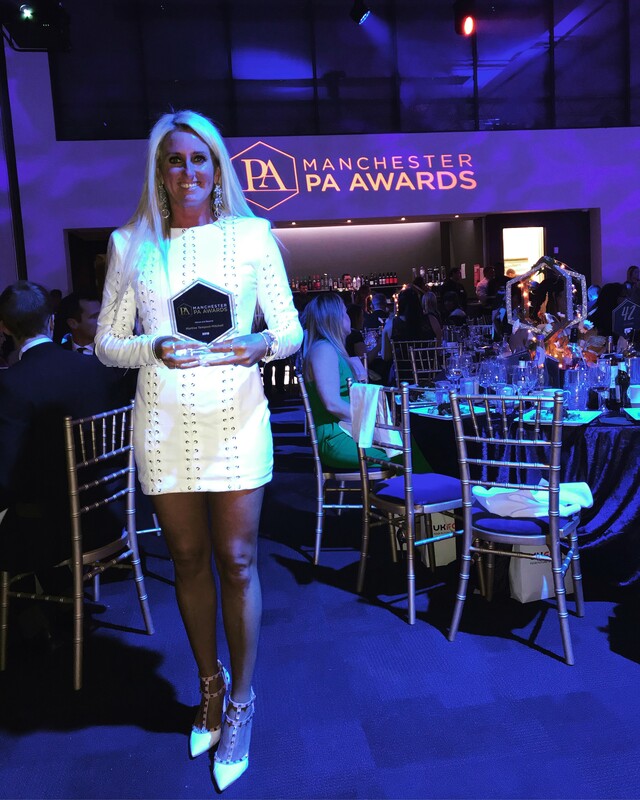 We are delighted that Martine Tempest-Mitchell, who provides PA support services to the Timpson Group’s Directors, is the recipient of one of the North West region’s most prestigious business awards. 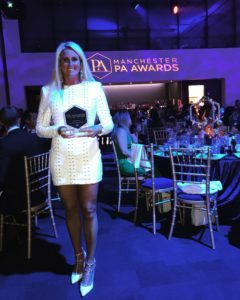 Martine, who looks after all the Timpson Group’s senior leadership, collected the Manchester PA Network’s hotly contested ‘Above & Beyond’ award after impressing the judging panel with her energy, commitment and boundless enthusiasm in fulfilling not one but two highly demanding roles. As well as taking care of all the Directors in the Timpson Group, which brings out the very best in her supreme organisational skills, Martine works hard in her busy role at Christies, Manchester’s world famous cancer hospital. Martine and her family joined over 700 guests from across the region at a glittering awards ceremony held to recognise the special role hard-working support professionals demonstrate every day of their working and volunteering lives. Martine and the 17 other category winners were among 150 shortlisted nominees carefully selected from some of the best companies and organisations in Manchester. Our brilliant, bubbly colleague received a handful of great gifts and exclusive experiences as part of her prize winnings, including one of the most popular edition suitcases by KitKase and an invitation to a special winners dinner at Gato Nego Tapas in Manchester. Martine has had many roles within the Timpson business over the 20 years she has been with the company, including acting as James Timpson’s PA in the past. These days she looks after all the administrative needs of the six members of the very busy senior leadership team. Charity Fundraising…What Would You Do For Charity?